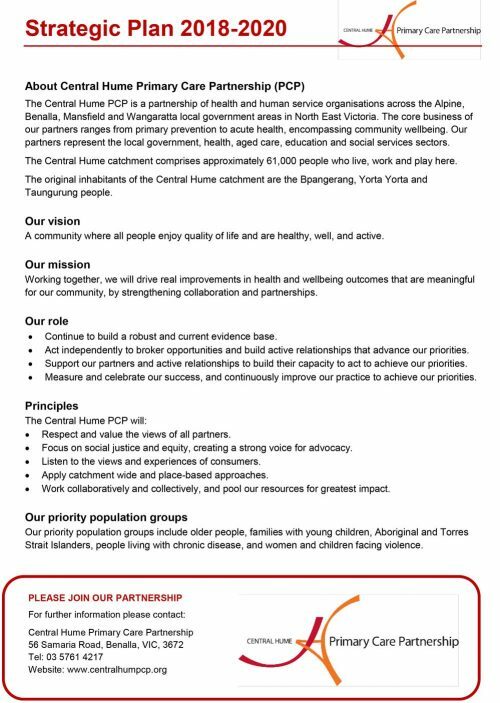 The Central Hume PCP’s Strategic Plan 2018-2020 has been developed as part of a collaborative process between Central Hume PCP members and stakeholders. The strategic priorities represent the collaborative work and shared vision of the Partnership and provide a clear direction for our work together over two years. The vision of Central Hume PCP is to have a community where all people enjoy quality of life and are healthy, well and active.